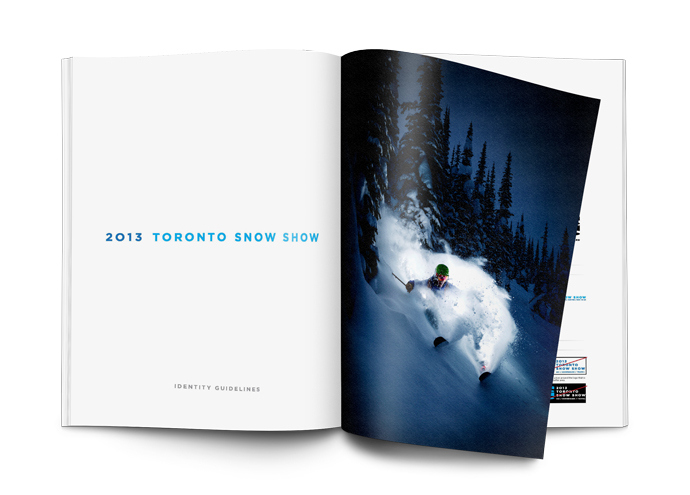 In 2013 the original Toronto Ski, Snowboard and Travel Show came to an end and was re-formed as the Toronto Snow Show. The new show was in need of a logo and wordmark design. I offered three options, all unique but the one below is the variation that made the cut. Trying to stay away from the traditional cliché, of the snow show circuit (snowflakes and the like), I wanted something that had motion and was different than what was out there. 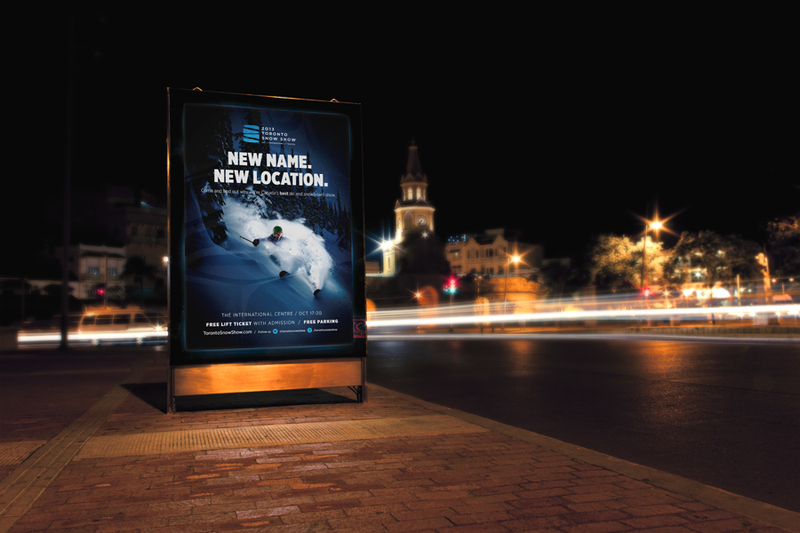 The problem is, you need something that covers both snowboarding and skiing. 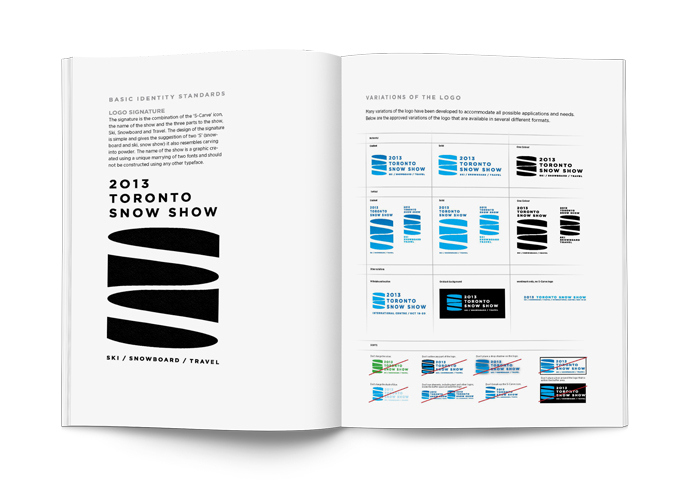 The "S-carve" icon, as its known, came from the turns of a snowboard and skier. Its the motion of the sport, its the letters of both and it could be easily simplified. 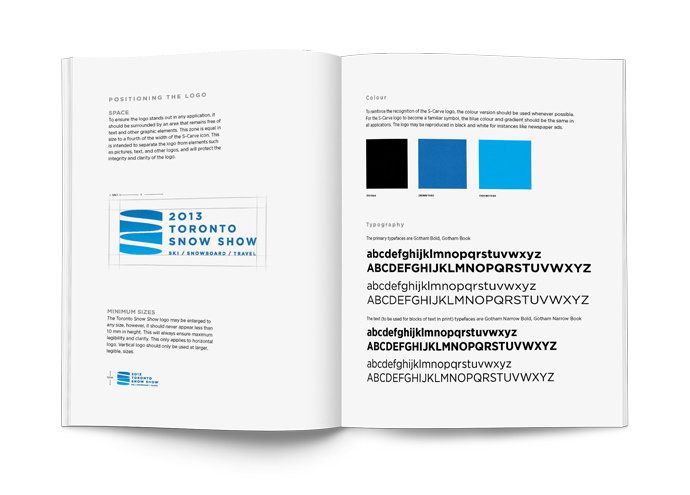 Below you can see it in a few of its iterations, including a few pages from the identity guide.